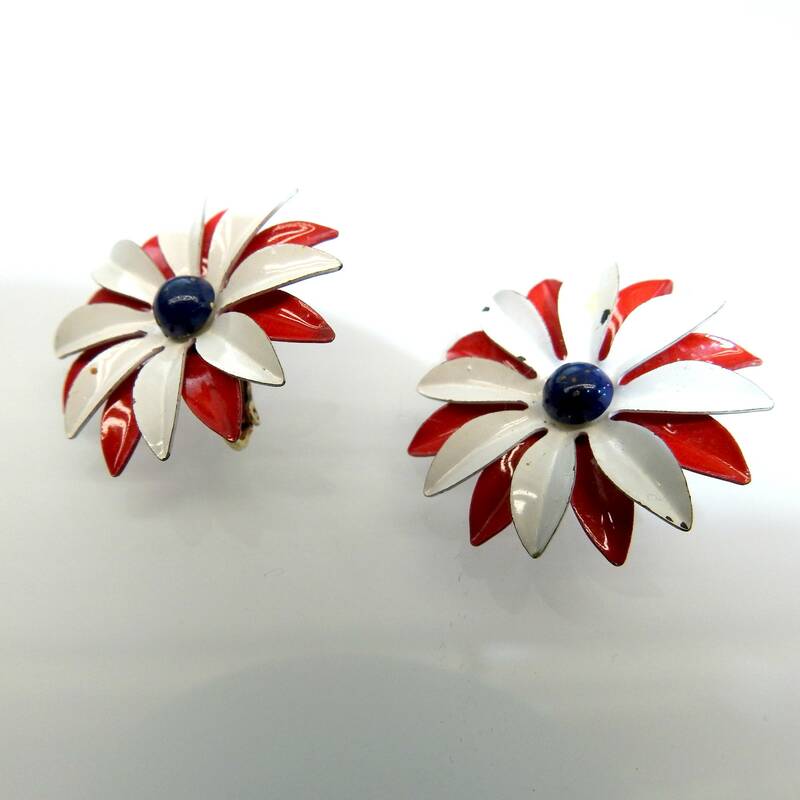 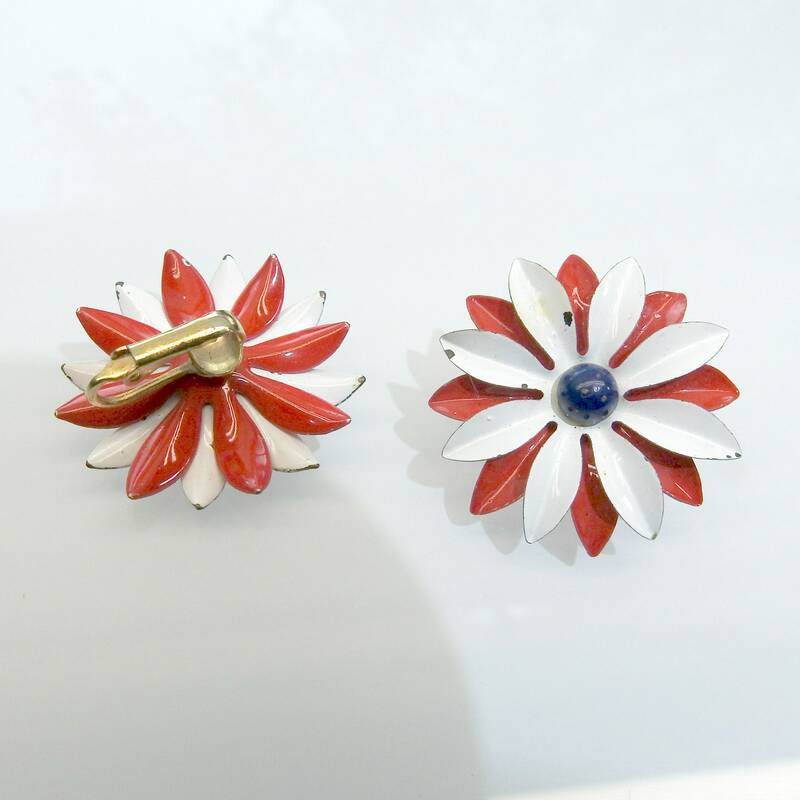 These clip on earrings are the perfect navy blue red white vintage jewelry for the Independence day and are a lovely patriotic gift too! 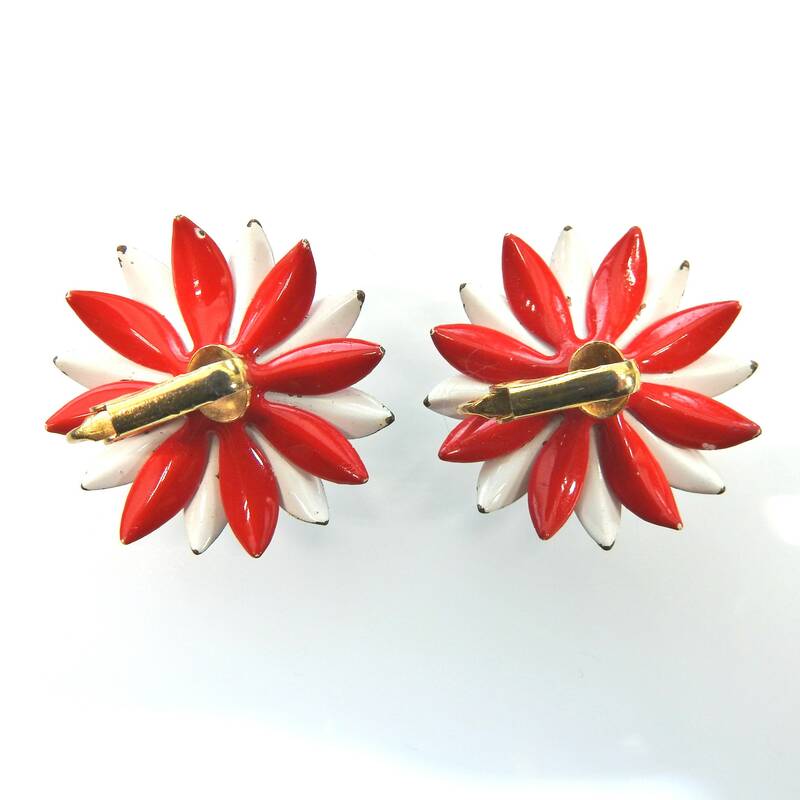 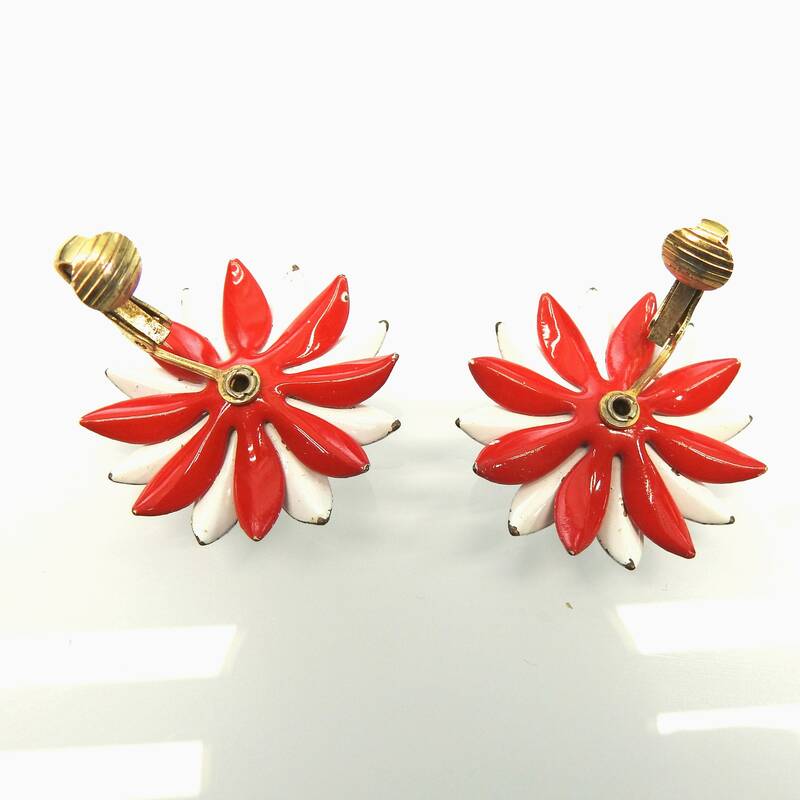 Brings a distinct effulgence to your natural appearance with this cute vintage earrings. 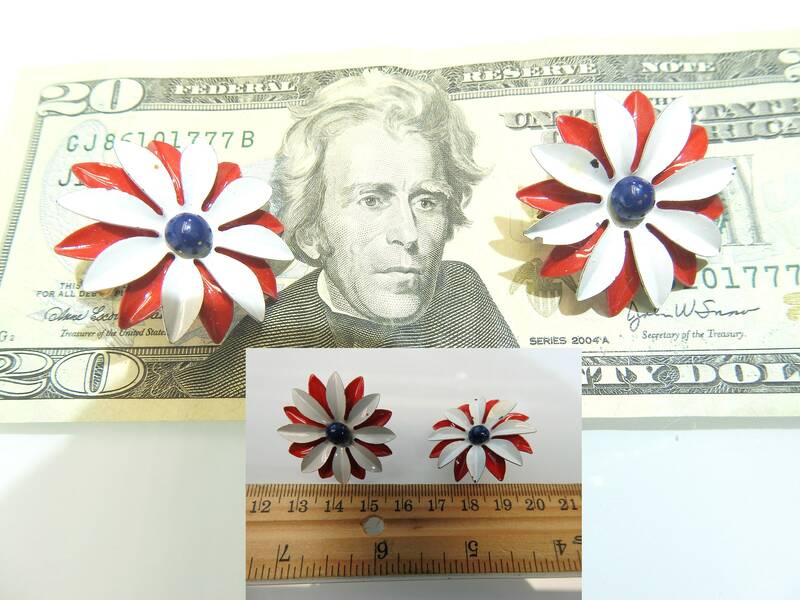 • Occasion: 4th of july, any patriotic events, even Bastille day! 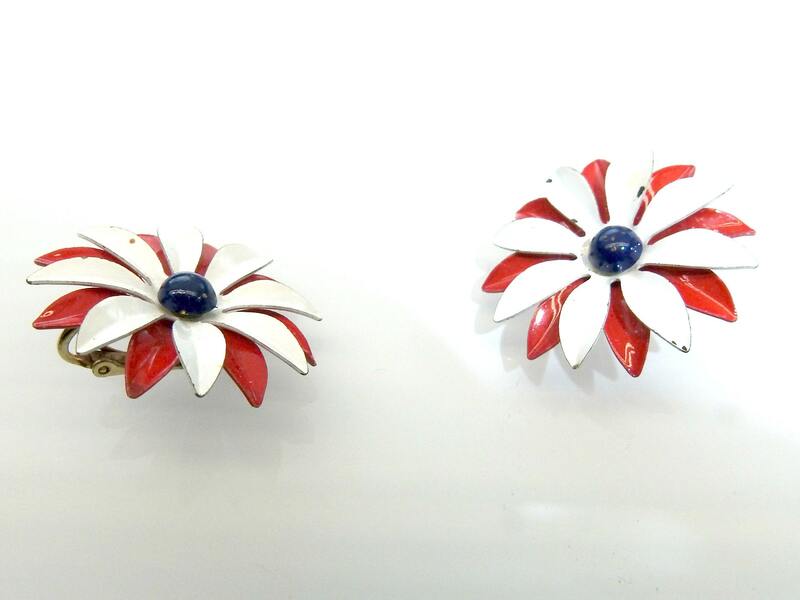 • Vintage 60s, excellent condition. 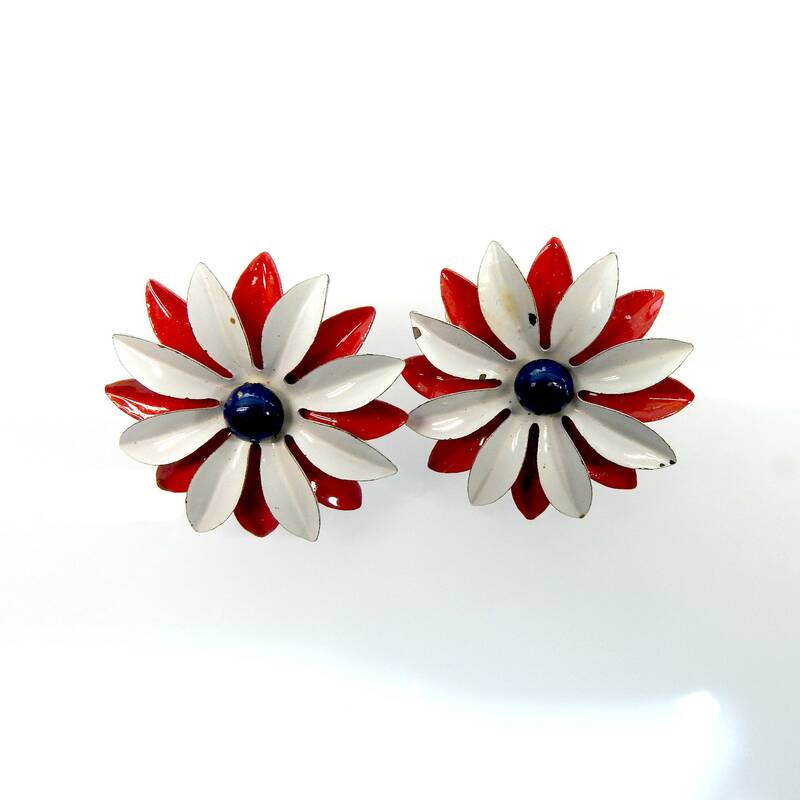 Just a bit of tiny scratches on the white petals. 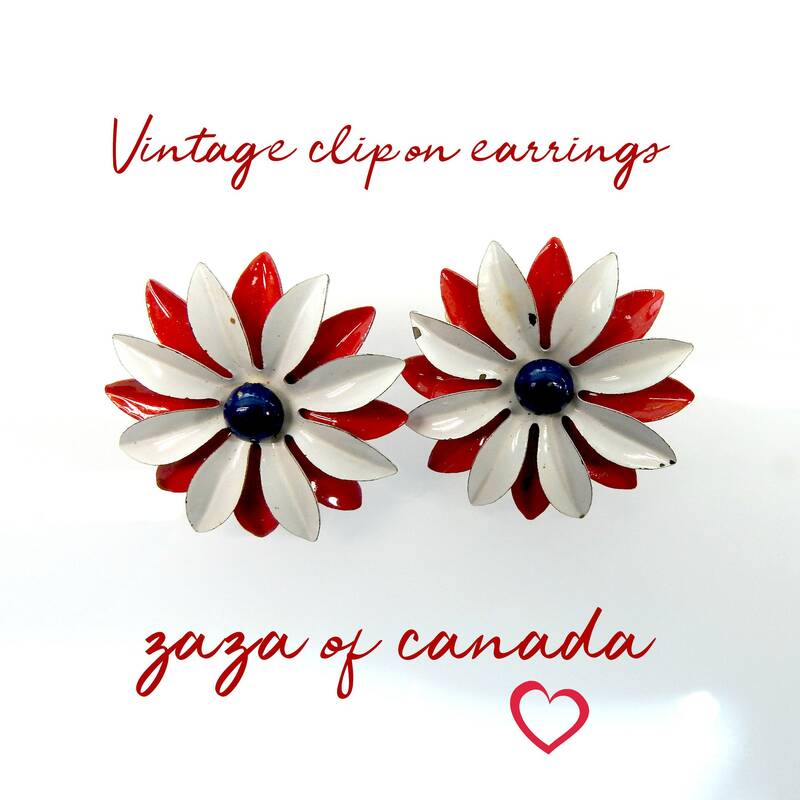 • Origine: Canada or Usa. 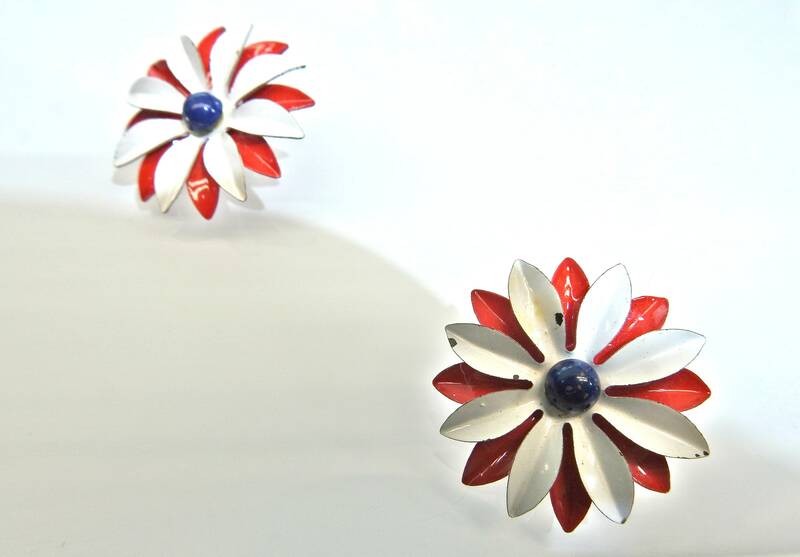 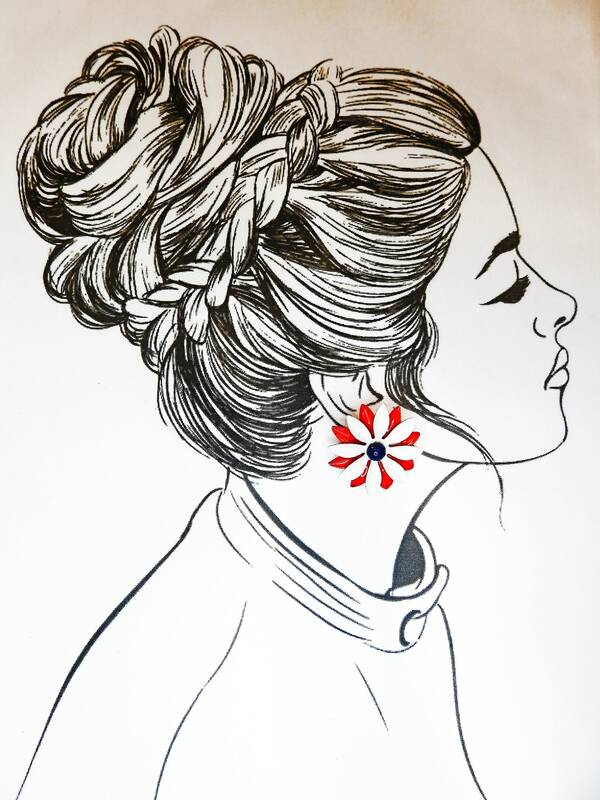 Thank you for exploring my boutique and these blue and red clip for non pierced ears!